Downing Street has warned that a revolt by Tory Brexiteers could “seriously damage” the prime minister’s attempts to get a revised Brexit deal. MPs will vote on the next steps in the process later but BBC political editor Laura Kuenssberg says some Tories are refusing to back the government. They say the government’s motion would rule out a no-deal Brexit and undermine the UK negotiating position. But Liam Fox warned MPs against sending the “wrong signal” to Brussels. The prime minister has asked MPs to approve a motion simply acknowledging that the Brexit process was ongoing and restating their support for the approach. 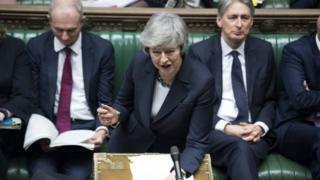 However, some Tory backbenchers are angry that it combines the view backed by a majority of MPs last month that the government should seek an alternative to the “backstop” – the “insurance policy” aimed at avoiding a return to border checks between Northern Ireland and the Irish Republic – with a separate move to stop Brexit happening without a formal deal. Downing Street has ruled out compromising over what they describe as an “anodyne” motion. It says if “parts of the ERG” [the influential Brexiteer European Research Group] vote against motion, the government expects to be defeated and argues the EU will conclude that Theresa May cannot command a stable majority and there is no point making further concessions in negotiations. Backbench Tory Brexiteer Bernard Jenkin said he had not yet decided how to vote but described the government motion as “gratuitously divisive”. The UK is due to leave the EU on 29 March, whether or not a deal has been approved by the Commons. Mrs May is continuing to try to get a Brexit deal through Parliament, after MPs rejected it by a historic margin in January. 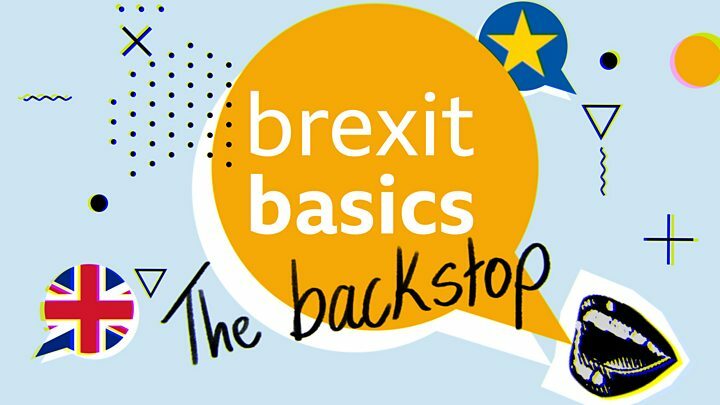 The prime minister says she is seeking legally-binding changes to the controversial “backstop”. Several MPs have tabled amendments – which set out alternative plans – including one from Labour that would force the government to come back to Parliament by the end of the month to hold a substantive Commons vote on its Brexit plan. Commons Speaker John Bercow is yet to decide which of these will be considered by MPs. Meanwhile, 43 former British ambassadors and high commissioners have called on the prime minister to extend the Brexit deadline. In a joint letter published on Thursday, they argue the UK should not leave the EU without more clarity about the future relationship with the bloc, adding that the current “Brexit fiasco” makes a “powerful argument” for another referendum.